Fear doesn't exist anywhere except in the mind. Works on a variety of surfaces. Suitable for kitchen, bathroom, beach and sunbeds camping. Type: hanging clip. Due to the light and screen difference, the item's color may be slightly different from the pictures. Mini size and portable, can hang towels anywhere. Contains Set of 5pcs. Hanging your Tea Towels easy. Makes Hanging Your Towels Easy,lightweight And Multifunctional Use. Otherwise deal is final. All products are quality checked. Color: transparent. Due to the light and screen difference, the item's color may be slightly different from the pictures. Works on a variety of surfaces. Picture locks in place. 50pcs screw hooks. Material: Iron. Color: Silver. 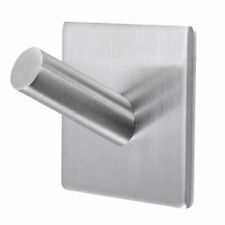 New Stainless Steel Self Adhesive Wall-mounted Hanger Hook. 12 Hanger. The self-adhesive design make it easy to stick on the wall or door tightly. 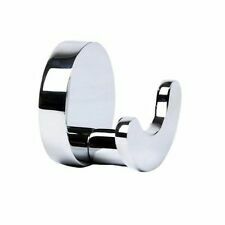 Made of stainless steel material which is hard to get rust, durable to use. Rust resistant black finish. Approx 19.5cm high and 27.5cm depth with inside bracket space 24cm. Max load: 30kg. 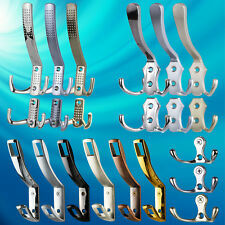 S Shaped Stainless Steel Hanging Hooks for Pots, Pans, Spoons Clothing £¨10pc£©. - Pots and pans. They're the perfect solution for organizing S Shaped Stainless Steel Hanging Hooks. kitchen space in order using hanging storage s hooks. Description: Brand new and High quality The sticky hooks made of stainless steel and 3M self adhesive, durable and easy to use Does not require drilling, does not damage the wall or glass Great for the bedroom, bathroom, toilet, kitchen, office Install method: Clean the wall with a damp cloth and wait until it dries completely Peel away release paper, but do not touch the adhesive surface Press strongly against the wall, leave for 15 seconds before using Note: Ensure that the wall is clean, dry and not have dust or moisture from the insert the hook Best press close to more than 10s to keep sticky and hanging things after 24 hours Specification: Material: Stainless Steel Color: Silver Weight: 53g Size: 2.3*3.8cm Package included: 1 set * 8 pcs Sticky Hooks. 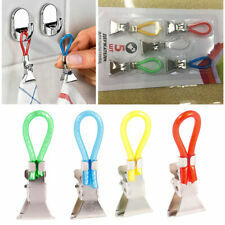 Suction Cup Hooks is ideal for hanging coat, clothes, blanket, key,etc. 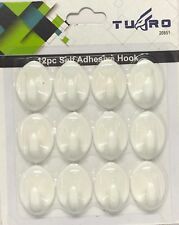 10 Suction Cup Hooks. With strong suction cup, easy to attach to a smooth surface. Notes: The real color of the item may be slightly different from the pictures shown on website caused by many factors such as brightness of your monitor and light brightness. Multipurpose wall holder for all kinds of helmet. Can hang helmet, jacket, glove, keys and etc. The end can hook clothes hanger. Easy to install and durable. Note: *The helmet & glove is for display and is not included in this sale. The price for this sale is one piece of Plastic holder only. Tough material - Our rack is made of Plastic . Installation: Installation hardware included as pictured. 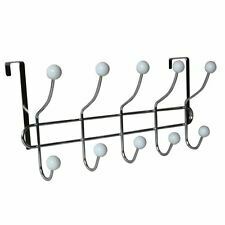 Type: Stands/ Hooks Main Colour: Black Material: Plastic Size: See the picture in detail Package: 1pcs wall racks( include mounting screws). Super sticky felf adhesive. Removable Hooks. Christmas Tinsel. Spare adhesive strip. Picnic & BBQ. Tea & Coffee. Baby & Toddler. Curtain Wire. Two Horse Coat Hook. Great on a wall, reception room, closet or greeting room. Antique style finish. Length: 20.5cm approx. 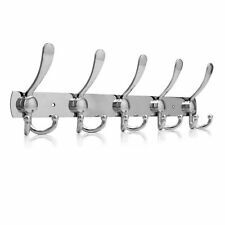 Five Key Coat Hook. Great on a wall, reception room, closet or greeting room. Easy to fit with screws (not included). Length: 28.5cm approx. Edelstahl Türhaken Typ Inside Silver im 3er Set. Edelstahl Türhaken. Türhaken Inside. Hohe Produktqualität, Passgenau, Kanten rund geschliffen. Belastung pro Haken max. Inside Silver 3er Set. -Aber noch lange nicht oben. 3M Command Cord Bundlers are a unique way to organise bundles of cords and hang them tidily out of the way. The high performance adhesive holds on strongly. 3M Command Cord Bundlers are easy to put up - no need for nails or screws. No more nail holes, cracked plaster or sticky residue. No fine print and no gimmicks - just a no-risk experience for you. Weight capacity: 4 lbs (1.8 kg) per set (16 lbs (7.2 kg) total). 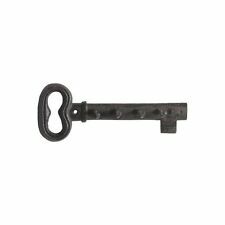 Antique style bronze finishing. Size: 2cm backing. 3.5cm depth. Holds up to 450g / 1lb. 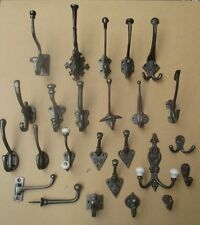 General purpose designer hooks. Compact, transparent design for minimal visibility. 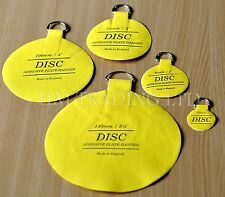 1kg Support Vacuum Strong Suction Cup Wall Hooks Free Seamless Hanger /5pcs. - Very firm to any smooth and clean surface for bathroom, kitchen, bedroom, car and more. -It can be adhered to bathroom, kitchen, door, wall or others. Over The Door Rail Hanger Bar. 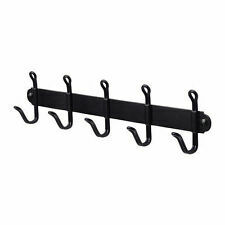 Over the door hanger rack makes good use of limited space in bedroom or laundry room. Easily fits on any closet, bedroom or bathroom door. Ideal for hanging "tomorrow's outfit", clothes just back from the dry cleaners, or your family's coats and jackets that are currently stuffed in the hall closet. 1 Wall mounted rack. Material: Wooden. Size: 47 16.5 9cm(Approx.). Note: The real color of the item may be slightly different from the pictures shown on website caused by many factors such as brightness of your monitor and light brightness. 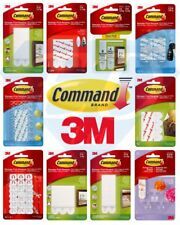 3M Command Damage-Free Hanging Bath Medium Hooks LOT OF TWO (2)!